The year is 1672. 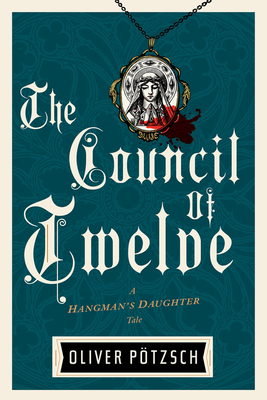 Hangman Jakob Kuisl and his family travel to Munich, the cosmopolitan heart of Bavaria, for a meeting of the prestigious—for dishonorable hangmen, at least—Council of Twelve, the leaders of the empire’s hangmen’s guild. But something dark is happening behind the scenes: in the past weeks, young women have begun turning up dead. At first, the authorities assume they are a rash of suicides, but when Kusil notices that each woman possesses a matching amulet, suspicions arise that someone is murdering these women. With no suspects, the superstitious townsfolk of Munich blame the hangmen’s guild, certain that they have called the devil upon the city. Joined by his daughter Magdalena, son-in-law Simon, the rest of his extended family, and a slew of eccentric hangmen, Kuisl must solve the mystery of who is murdering these girls. If he fails, the consequences could reverberate across the empire, affecting all the hangmen in Germany.